One week to go until the 2016 Hansa Worlds! 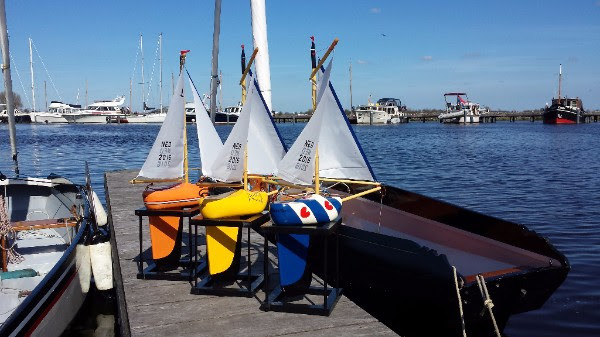 Next week, the Hansa World & International Championships start in Medemblik. Sailors, crews and visitors are looking forward to this championship with an big social part. While the sailors get into some serious racing on the water where the competition will be tough, after the races they’ll all be socializing with each other again. The 2016 Hansa Worlds will include competitions for the Hansa 2.3, Hansa 303 (one and two person), Liberty and SKUD18. With a total of 119 sailors in 96 teams, the competition will be tough. In the Hansa 2.3, a small group of 9 sailors will race for the Championship. Top English sailor Lindsay Burns is one to watch during this regatta. There are also sailors form Japan and Malaysia coming, where Koji Harada is the other one to watch after is 4th place in the 2012 Worlds in Sydney. In the Hansa 303 we have two divisions – single person and two person. Some sailors compete in both, so they have a chance to get a double prize. One of them is Chris Symonds, the current Australian Champion in the single and two person 303 disciplines. In the doubles, he will be sailing with Michael Darby. “I’ll sail with Chris, but also support him as he is going to sail in the single division as well”, said Darby. Chris has already proven in Australia that he is a great sailor, but is he ready to compete in The Netherlands on a high level? “I’m just hoping to get the best result for Mike and myself as we can get”, says Symonds. The Liberty is the largest fleet in the regatta with 33 entries. Big names in this class are the British sailors Paul Phillips, David Durston and Monique Foster. They made up the podium for the 2015 European Championships in Rutland and are eager to get onto the podium again during the World championships. It’s going to be hard – they have to compete against Helena Horswell (NZL), winner of the Servo Division in the last Worlds in Sydney. There are also nine Dutch sailors who are more familiar with the waters of the IJsselmeer and Dutch conditions. 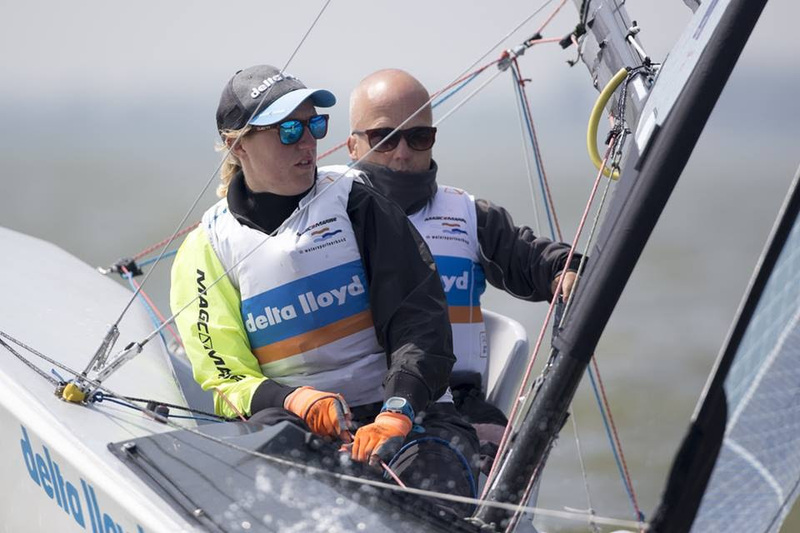 One of them is Vera Voorbach who was part of the Dutch Paralympic Sailing team and knows exactly what to expect from the water around Medemblik. In the current Paralympics class, the SKUD 18, we welcome some sailors that are preparing for Rio 2016. The Local Dutch sailors Rolf Schrama and Sandra Nap will be present and have their goals set on a medal during the regatta. At the 2015 Para World Sailing Championships they finished 4th, after a battle with the Polish team of Monika Gibes and Piotr Chichocki. The Polish team – who have just won the 2016 Para World Sailing Championships at the same venue – will also be present, along with former World Championships Alexandra Rickham and Niki Birrell, so we expect a great competition between these sailors. Visitors are more than welcome to come and follow the races closely. There are some spectator boats that will bring you close to the action on the water. Every race day they will depart in the morning and after lunch for the second starts of the day. So you won’t have to miss out on anything! For those at home, we’ll also give live race updates on Twitter (@2016hansaworlds), while results, news and other updates will be published on the 2016 Worlds website and Facebook page. 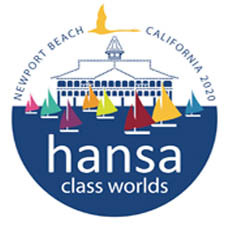 Visitors can also take part of the social program during the 2016 Hansa Worlds. Starting with the opening ceremony on Saturday, a midweek BBQ on Tuesday and a typical Dutch sailing sport ‘Klompkesilen’ on Wednesday. For the full program and more information, take a look at our website. The 2018 Combined Hansa Class World & International Championships will held in Hiroshima Japan. There is a 9 member delegation from Hiroshima attending the Medemblik event and a presentation is planned for 1700hrs on 7th June. Secretary of the Japanese Embassy in the Netherlands, Ms. Naomi Ogino, will read a message from Minister Fumio Kishida, the Japan Minister for Foreign Affairs, inviting sailors from around the world to attend the 2018 World Championships in Hiroshima. The Hansa Class World & International Championships 2016 will be taking place in Medemblik – Netherlands from 3 – 9 June 2016, following closely after the Delta Lloyd regatta. The event will include the following competitions: Hansa 2.3, Hansa 303 (single and two persons), Liberty and Skud 18. The 2016 Worlds will provide a full week of great sailing on a venue well known by sailors all over the world. 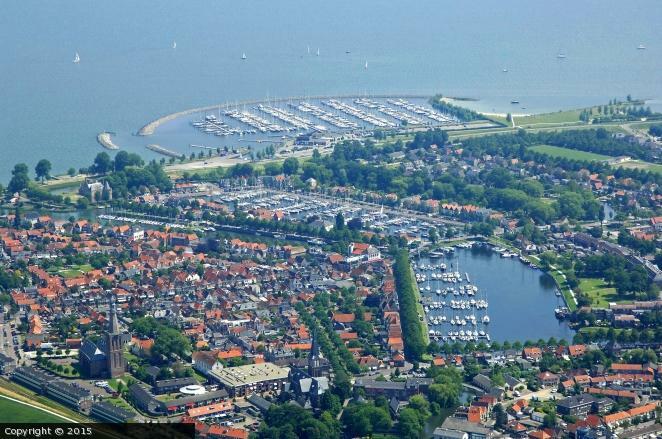 In the organiser’s vision, sailors will bring their family and friends to combine their passion of sailing with a visit to the cultural and recreational venues of the Netherlands, Amsterdam and the beautiful city of Medemblik. IHCA President Russell Phillips is looking forward to the 2016 Worlds and has already entered in the Liberty fleet. 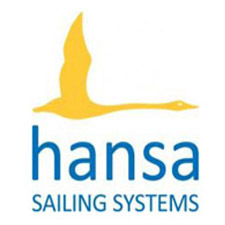 “The 2016 Hansa Class Combined World & International Championships will showcase the best sailors from around the world in our four inclusive Hansa Classes – the Hansa 2.3, Hansa 303, Liberty and SKUD18. It is great to see that interest in our Combined Championships is strong and that a large international presence will complement the European sailors. The Hansa Class Association continues to grow and the 2016 Combined World & International Championships will be the pinnacle of our worldwide calendar of events”, said Mr Phillips.